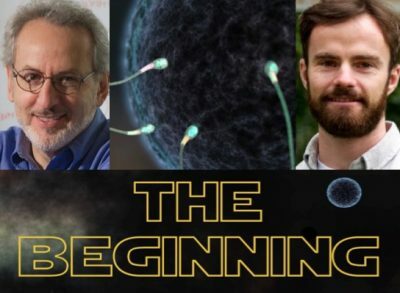 inspired video with sperm as X-wing fighters competing to fertilize an egg. science to the public …and how they made a scientific discovery along the way. With 100 trillion cells in the human body, bacteria outnumber our own human cells 2 to 1. 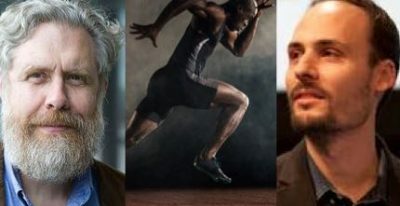 These bacteria make up one’s microbiome and play a role in our health, development and wellness, including endurance, recovery and mental aptitude. In this episode of Disruptive, Wyss Core Faculty member George Church and research fellow Jonathan Scheiman explore this provocative question: What if we could tap the gut bacteria of elite athletes to produce customized probiotics – and what if those probiotics could give recipients access to some of the biological advantages that make those athletes elite? Until recently, to analyze many mRNAs simultaneously, scientists had to grind cells to a pulp, which left them unable to pinpoint those mRNAs within the cell. Developed by a team at the Wyss and Harvard Medical School, FISSEQ allows scientists to pinpoint thousands of mRNAs and other types of RNAs at once in intact cells, and stands to revolutionize clinical diagnostics and drug discovery. Listen and subscribe to Disruptive on Soundcloud, iTunes, or Google Play. In early May, a rapid, low-cost, freeze-dried, paper-based, strain-specific diagnostic system for detection of the Zika virus was introduced by an international team of researchers led by James Collins of Harvard’s Wyss Institute for Biologically Inspired Engineering. The core of the test kit is a piece of paper that changes color in the presence of Zika virus RNA and produces results in two to three hours. University of Toronto biochemist Keith Pardee says that it should cost less than a dollar per test. And, according to Collins, in response to a new outbreak, a custom tailored diagnostic system could be ready for use within one week’s time. In this 53-minute podcast, I speak with Collins and Pardee, and explore how they did it, what they learned, and what this might mean for the future. Listen and subscribe to Disruptive on Soundcloud, iTunes, or Google Play. 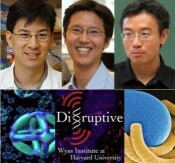 DISRUPTIVE – the podcast from Harvard’s Wyss Institute for Biologically Inspired Engineering. We’re learning to take advantage of properties of DNA that have served nature well- but in ways nature may have never pursued. We build with it. We tap its capacity to carry information to enhance our ability to explore the inner life of cells. In this episode, Wyss faculty members William Shih, Wesley Wong and Peng Yin share what it’s like being on the frontier of science, explain how and why they program DNA, and consider potential applications of their work.